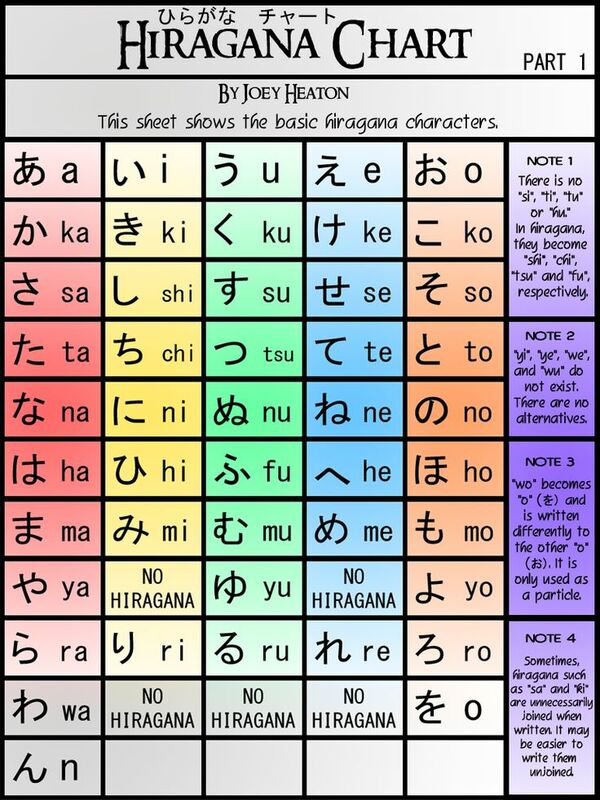 The handakuten [ﾟ] and dakuten [ﾞ] are Japanese diacritical marks that alter the sound of the kana they are attached to. For instance, は (ha) becomes ぱ (pa) and て (te) becomes で (de). There are two things Japanese learners generally think of when someone mentions "little kana". The first is "furigana". 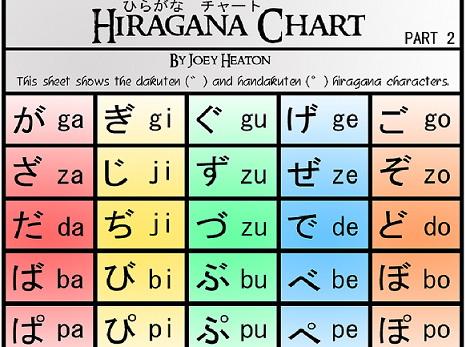 These are the miniature hiragana sometimes placed over kanji to give you the pronunciation. The second kind are the や、ゆ、よ, and つ. Starting with や、ゆ、よ, these have to do with mora (timing). Take the words byouin (hospital) and biyouin (beauty parlor). These words are very similar to each other. However, Japanese has no stand alone B sound. And, also these words are pronounced slightly different. What is the difference in pronunciation? *Note: Space between / and / take up one beat of sound. Note on pronunciation: whenever you see お (O) followed by う (U), it means to draw out the O sound for an extra beat of time, instead of making the U sound. The sokuon works a little bit differently. (sokuon = The miniaturized tsu っ or ッas represented in katakana). This appears when there is a doubled consonant, because in Japanese double consonants create a glottal stop. For instance, matte in English is not written as まてて in kana. It is written as まって. まて is MA/TE (2 beats of sound). After saying MA, put the tip of your tongue to the roof of your mouth, but hold it for just a second before saying the final TE. One minor point: I think you got the words for beauty parlor and hospital mixed up. Mixing those up could prove rather awkward in real life! :-) It beautifully illustrates the importance of choosing the correct symbol, however. This is a good point, beginners of the language tend to get these mixed up. They look and sound similar, but they are quite different. Beauty Parlor = Bi-You-in (bee-yoh-een) A short Bi sound beside a long Yo sound. Faisane, thank you so much for catching that! No problem. Very useful article, btw! We are from the same Japanese club, right? Hey good job! I always enjoy reading your posts. You misspelled "Sokuon" in the parenthetical after "The sokuon works a little bit differently." Many thanks for catching the typo, V2Blast! For Tips and Notes, We Need Your Input!